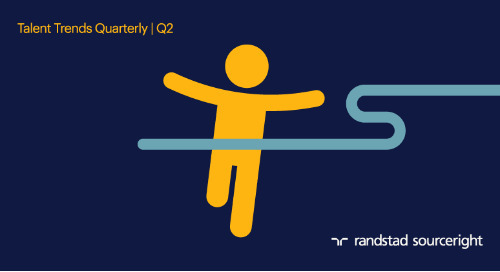 Talent Trends Quarterly: want to create a better talent experience? Home » technology » want to create a better talent experience? Cheaper, faster and more choices. That’s the reality of consumerism today, and this mentality not only dominates our personal lives, but also the way we view our careers. Companies such as Amazon, Facebook and others don’t just sell a product; their success hinges on building a highly satisfying customer experience. As a talent-centric organization, you should aim to do the same: provide a highly engaging experience for your employees and your job candidates, so that you will acquire and retain the highest quality talent. Creating an experiential difference, both as a business and as an employer, should be one of your most urgent tasks because your competitors are making this a priority. According to our 2018 Talent Trends research, a survey of 800 talent and C-suite leaders in 17 countries, spending on the candidate and workplace experiences are among the top areas of technology investments for employers, and most have plans to increase budgets in the near future. Why the growing attention on the talent experience? Employers understand that to support a robust recruitment attraction strategy and to retain their best workers, they must create a resonant employee value proposition (EVP). Competition for skills is high, and expectations are that organizations will look out for the best interests of their talent, starting with the candidate journey. Based on their modern consumer experiences, candidates expect each touchpoint with a potential employer — from attraction to onboarding — to be consistent, clearly defined and reflective of the company’s overarching values. For example, what does it say about your company if the apply process is difficult and manual? What if your hiring managers are well-prepped and feedback is genuine? Your talent acquisition process can reveal insights to your company culture, whether intended or not. If your company is like most, you’re probably experiencing talent scarcity as you seek to fill critical and digital roles. Have you considered how a better talent experience can help you attract and keep great talent? More importantly, are you able to meet the expectations of your candidates and employees? A big reason for shifting expectations is changing consumer behavior, which is experiencing a major transformation. Today, at any time, you can track a purchase, connect with someone around the world and access detailed information about a company. Job seekers have the same expectations when being hired, and talent has a similar expectations for the workplace. They want transparent processes, the ability to track their applications and requests, and to be able to reach the right resources to answer their questions. A growing number of employers believe that their recruitment process and workplace experiences must reflect trends in the consumer market or risk losing talent who have come to expect as much. Being transparent and working in a way that is reflective of the times are critical requirements of a resonant and attractive employer brand. But even when companies do this well, they still need to clearly articulate the benefits of working at their organization. That was something marketing and communications specialist Communisis achieved recently when it embarked on an employer brand strengthening exercise, according to Andrew Neal, group HR director. “We needed to be better at describing what we do and articulate this in our EVP. Undoubtedly, we were losing out on candidates because we were not able to clearly articulate the appeal of working here,” he explains. The effort helped reveal common ground among its workers across what could be seen as disparate industries and business. In the end, it was able to use the insights to fortify its employer brand. According to our Talent Trends research, 51% of human capital and C-suite leaders say they are investing in technology to improve the workplace experience, while another 46% are investing in technology to boost the candidate experience, among the highest of all areas of investment. In all, 75% plan to enhance their candidate experience, with the biggest focus on their career portals (cited by 63%), followed by training for hiring managers and creating talent communities (each at 62%). Even though companies are focused on enhancing the talent experience, most are also satisfied with their efforts. According to this year’s Talent Trends research, 71% rate their company’s candidate experience as very good or excellent; just 6% say it is fair or poor. Despite this, companies still plan to make improvements, which demonstrates concerns about keeping up with competitors, a clear risk to their ability to acquire high-quality talent. We see the same kind of efforts being made to retain talent. 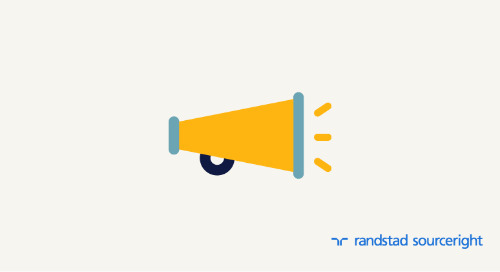 Our research reveals that 48% are investing in workplace culture, employee feedback and engagement systems, one of the technologies most often cited by talent leaders. An even higher number (54%) are investing in training and development platforms as they seek to nurture and grow the skills of their workforces. Do you face a similar dilemma? Is your candidate or workplace experience well regarded by the people you hope to employ? Even if it is, do competitors have an advantage when it comes to creating a memorable experience for all? You won’t know until you’ve undertaken an assessment of your own candidate journey and those of your key competitors. To get started, we encourage you to download the latest Talent Trends Quarterly, “navigating the talent experience,” which provides a deep examination of how peers view the importance of talent experience and employer branding. By understanding how other talent leaders are tackling these functions in a highly progressive and methodical approach, you can better benchmark your organization’s efforts.